The skiing resort Flachauwinkl/Kleinarl provides ample slopes and runs that any skier, snowboarder or carver will easily go crazy about. 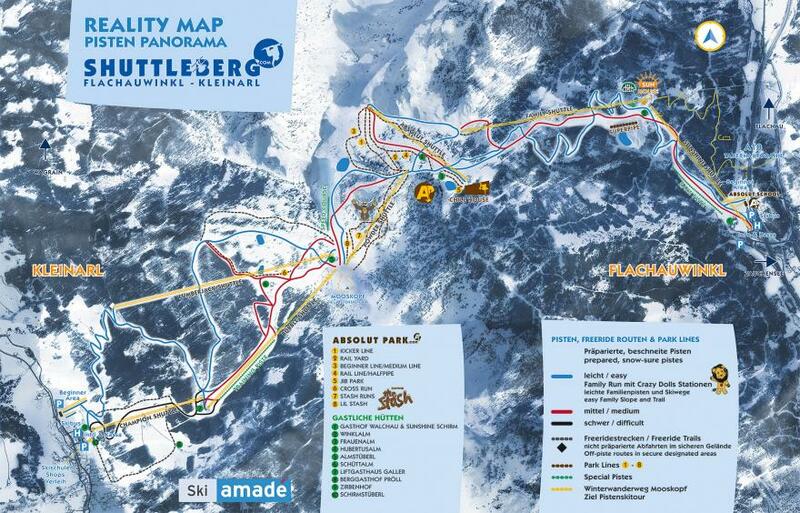 For fans of free skiing and snowboarding the Absolut Park will be the hot spot of the entire skiing area. But there is a lot more to be discovered at the Shuttle Mountain: speed skiing, carving stretches and time measurement courses, 7 comfortable shuttles , many hospitable huts for chill out and loads of powder snow.